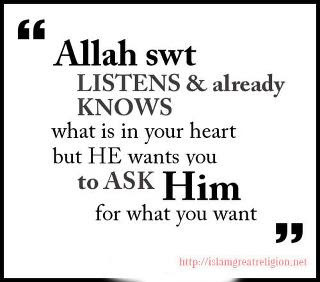 "Allah s.w.t. Listen and Already Knows what is in your heart... But we wants you to Ask HIM for what you want..."